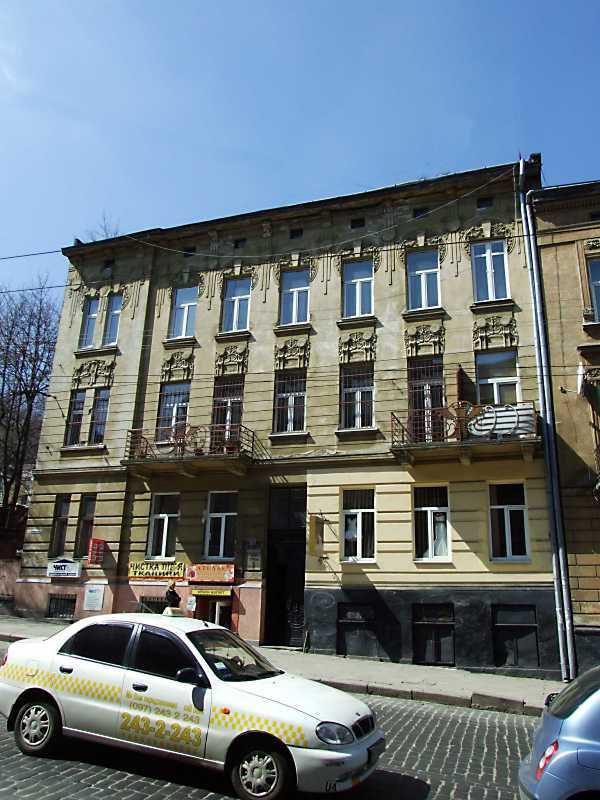 Gallery / Memorable places / House in Lviv (1887). In September – November 1887 Franko and his wife lived for a time in the house on the Stryjska street, 6. Here was born his first son Andrew. Somewhere in the early 20th century this building was demolished and built the new one shown in the photo. More about this house – at the site "". Photo by M. I. Zharkikh, April 16, 2013.